Kris Wall Minis: 3D Printer! My in-laws are amazing. My birthday is tomorrow and they ordered a 3D printer for me yesterday. The lead time is seven weeks, so it'll be a couple of months before you see any real action on this, but I'm super psyched! 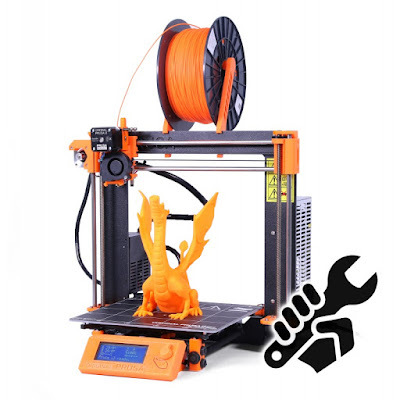 The printer I'm getting is the Original Prusa i3 MK2S. It's very well reviewed and considered one of the best value printers on the market for basic use. Might take me a bit to assemble it. This is what the kit will look like when it arrives!